If you are looking for assistance, please complete the form below and we will contact you as soon as possible, usually within the same business day. 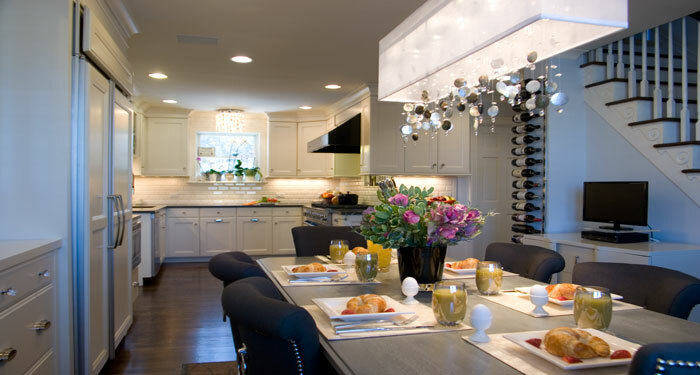 BHR is a full-service firm that specializes in kitchen design, kitchen remodeling, and kitchen renovation. We work with a team of general contractors and subcontractors who will perform the actual construction, while we oversee your project from start to finish and ensure that the quality and integrity of your project is maintained every step of the way. 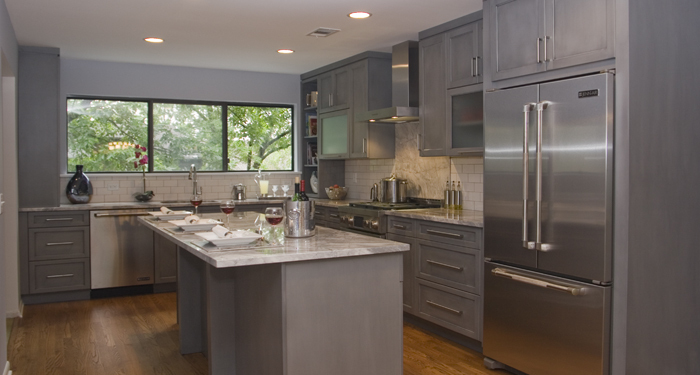 A new kitchen remodel is one of the most rewarding projects a homeowner can undertake. It is also one of the most challenging. At BHR Home Remodeling & Interior Design, our goal is to help you efficiently navigate this process and avoid the pitfalls that could arise. From initial planning and selecting materials through the many details of implementation and construction, we will work with you to build the kitchen of your dreams. 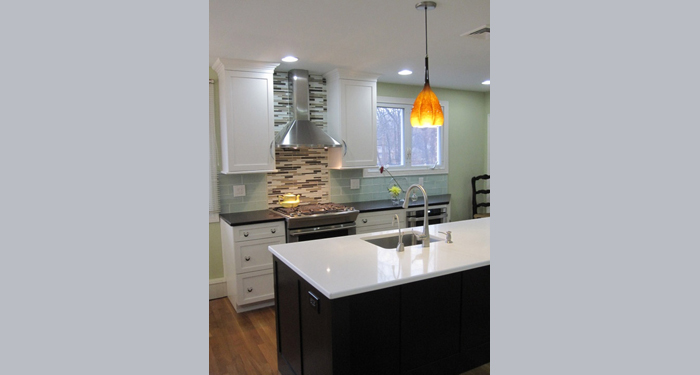 To help us provide an estimate for your kitchen remodel, here are a few questions you should ask yourself before calling us for an appointment. 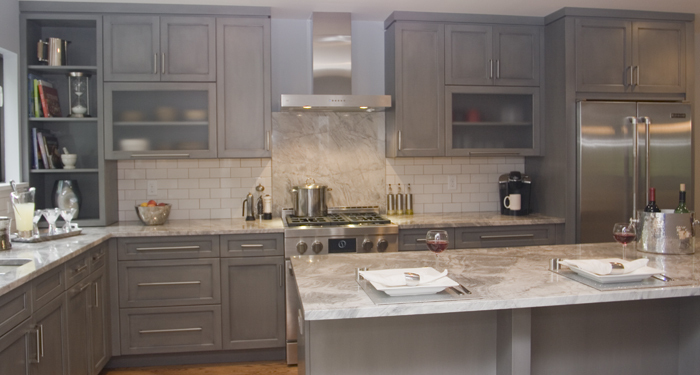 It is important to set a budget for your project and keep your budget in mind while considering the overall scope of your kitchen construction and when selecting materials. 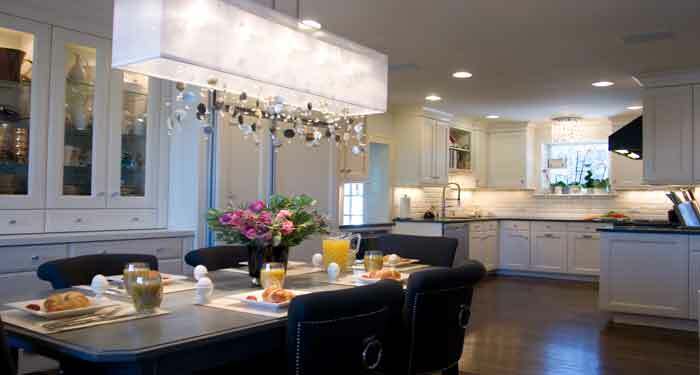 BHR makes a point to offer our clients solutions that suit their lifestyle needs, maximize kitchen functionality, and financially work within their budget. Do you want to change the footprint of the room or go with a new floor plan? BHR specializes in space planning. We will create a cohesive design that works best for your space and lifestyle, whether you’re expanding your home or working within your existing home’s layout and square footage. 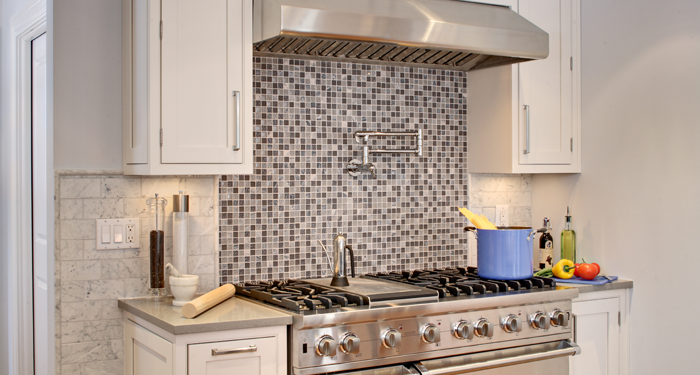 What is your goal for your new kitchen space? 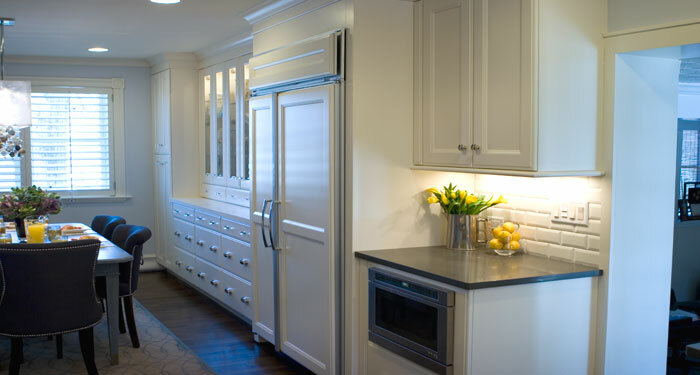 Whether it is to update your kitchen to sell your home, build the dream kitchen you’ve always wanted, or create a new space to meet your particular needs, BHR can help create it. 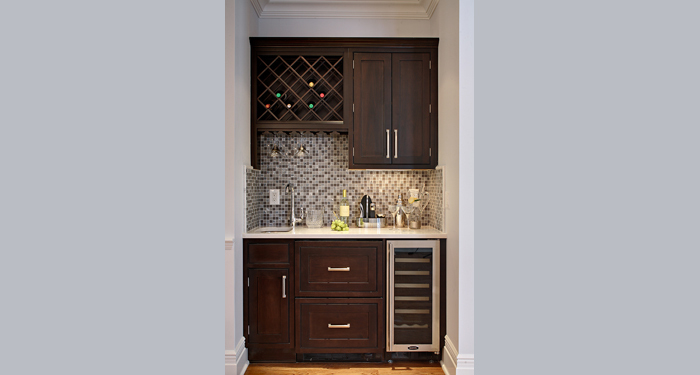 As a full-service kitchen remodeling firm, we oversee the accurate and timely ordering and delivery of all the materials—cabinets, appliances, tiles, fixtures, stone, and lighting. When our contractor needs them, the materials are on site and available. 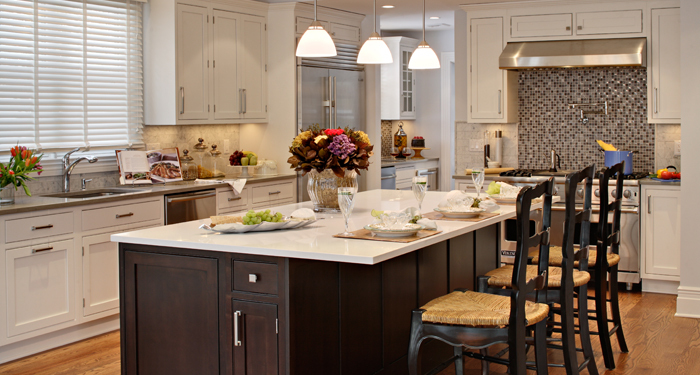 As part of BHR’s remodeling service, your project manager will take you shopping for fixtures and flooring, show you all the options for countertops and cabinets, and help you make all the product selections for your kitchen renovation. Coordination. We coordinate closely with our contractors and subcontractors throughout the construction phase to ensure that every aspect and detail of the plan is clearly communicated and completed on a timely basis. Communication. Our project manager will email a schedule outline to our clients. The work schedule identifies each trade specialist and time line for his work. This equips clients with a clear vision of who will be in their homes and when. We also send a progress email that provides a time frame for anticipated completion so our clients know what to anticipate. Continuity. The kitchen designer who worked on your plan will make site visits during construction phase to review the quality and progress of the work as well as adherence to building plans. Budgets and expenditures are monitored on an ongoing basis to ensure that the project remains on plan. 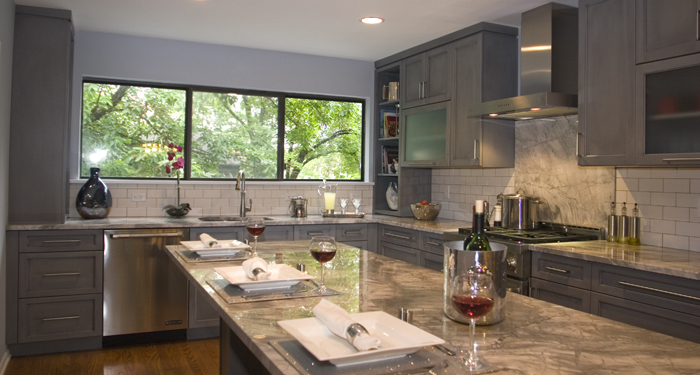 Start putting your dream kitchen together; contact BHR Home Remodeling and Interior Design today at (908) 273-9011. Copyright© Bhrdecor.com, Summit, NJ. All rights reserved.